Hi, i would really like to use the RHS T-55 as a base model as this is the most realistic T-55 model out there. As working from the standard OFP T-55 maybe very time consuming. I do however have a few ideas. Hoping to post some work in progress soon. I agree with D@nte on this, you should ask for the permission to use the RHS models. You’ll probably just need to do a little reskin of the model insteed of making a new model from scratch wich will take you thounsend hours of working. Why reinvent the wheel if we got one rolling ? P.S. I’ve read everything on your website and i didn’t saw anything about light vehicle(Ural,UAZ,BRDM,Support), i hope you’re planning to make a small pack of re-textured vehicle with support vehicle too ? P.S2. BTW, you really should make a forum where we could all talk about new ideas for addons or to discuss about mission/campaign involving your units one way or the other. hi enjoyed reading your current nogovan project. Am surprised that you choose the t55 modernized over other the m60 2000 mod of the patten tank. ideal for taking out older soviet armor. malden had a nato presence which was probably decomissioned after the cold war. I would have thought the nogovan defence force of the 21 st century would have included ex nato equipment stationed at malden. Is there also a list of guns used by the modern nogovan forces?. I think the f2000 assault rifle, G36c variants and of the course the m5/m16 and the civilian CAR 18 assault would match the nogovan requirements.. Is it not Euro land.. The F5 e tiger/tiger 2 war jet is a good economical choice and can perform multi role missions. I havent seen one in the arma mods and addons yet but it is a good air to air air to ground tactical choice. (cheaper than the JAS grippen and as effective) If your planning on a new warplane check out the Northrop F5 variants. You probably would be the first to produce one for the game. Thanks for your comments, back in 2009 when i posted this i was looking at using a T55AGM. 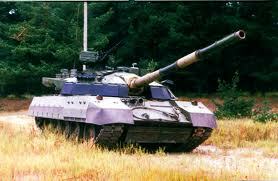 However now i will be using a T-72M4 CZ as the main battle tank aswell as Upgraded T55s with ERA. If you download my Mod for Arma2 you will find a whole host of G3 Battle Rifle Variants and HK32 Variants. With regards to air power, i have Mig21’s, will include Mig23s and Mig27 in the future, plus the Grippen. I do like the look of the F5 i may look include one in the future also.